Well, everyone is talking about what a complete rock bottom year 2016 was. Personally, it was a great year, but my contributions to the blog world? Not so much. Lots of work, being old and generally always tired, have all contributed to my nearly non-existent nail creations. So, from the vault, I present Emily de Molly Celestial Bodies. I saw this pretty on Pinterest years ago when it first came out and knew she must be mine. 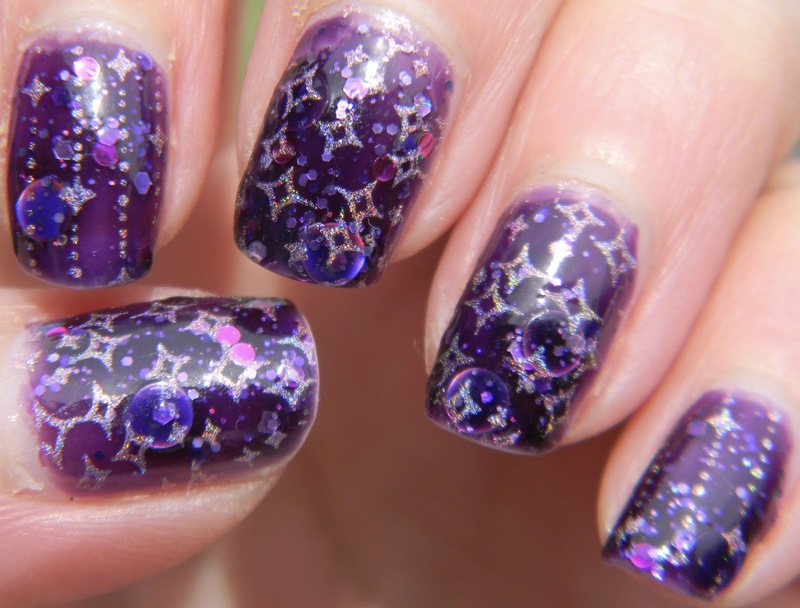 This is two coats stamped with Color Club Eternal Beauty form plate SB020. It felt "New Year'sy" to me. One of my goals for the year is to kick up my mani inspiration and jump back into the beautiful land of polish! The holo stamping is gorgeous.